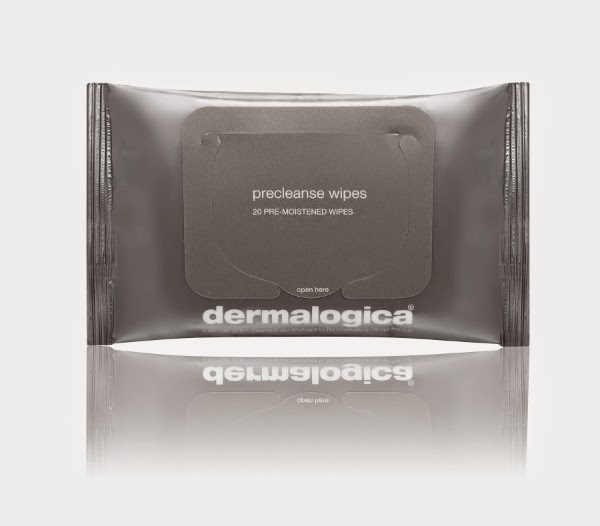 I'm a huge fan of makeup remover wipes, so when I heard about Dermalogica precleanse wipes ($27 for 20) in the spring I was definitely intrigued. Think the same bestselling formula (which contains aloe and apricot oils, rice bran, and vitamin E) but in convenient wipe form. What's not to love? Well, call me crazy, but I think I prefer precleanse in its original form. The appeal of a makeup remover wipe lies in its "wipe away, throw away" nature. But precleanse needs water, which requires one more step. The trainer at Dermalogica's International Dermal Institute taught us to first massage our faces with the wipe, then wet the wipe and clean our skin with it. The water turns the oil into a milky, liquid-y emulsion that lifts away all traces of dirt, makeup, and oil. When I tried it at home though, droplets of milky emulsified precleanse splashed and trickled everywhere: on my pajamas, the bathroom counter, down my arms. The process felt too fussy and didn't quite have the simple appeal of "wipe away, throw away." By contrast, using precleanse with bare hands is less messy and—compared to the $1.35 per wipe price tag—much less expensive. There's no doubt in my mind: the original precleanse seems better. If I needed it in travel-friendly form, I'd probably opt for the travel size bottle instead of the wipes. That's a little more pricey than what I usually pay, but my current makeup wipes are kind of rough so maybe a higher price is just what I need. For budget-friendly wipes that work well and are gentle on skin, I've had great luck with Olay and Garnier. I used to use a lot of Dermalogica, I haven't in a while, but who knows maybe I should go back. I know what you mean. When I go back, it's like getting reacquainted with an old friend. The best part is their products smell great because they're chock full of great ingredients (and not because of artificial scents! ).